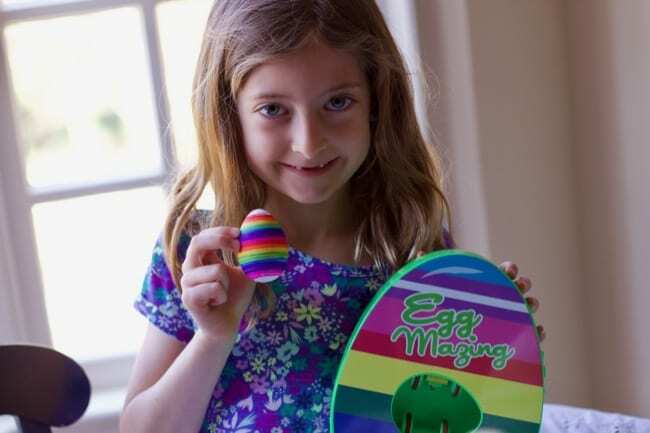 Thanks to KidStuff Public Relations for sharing these Easy Easter Egg Decorating For Kids , the Eggmazing Egg Decorator, with us. 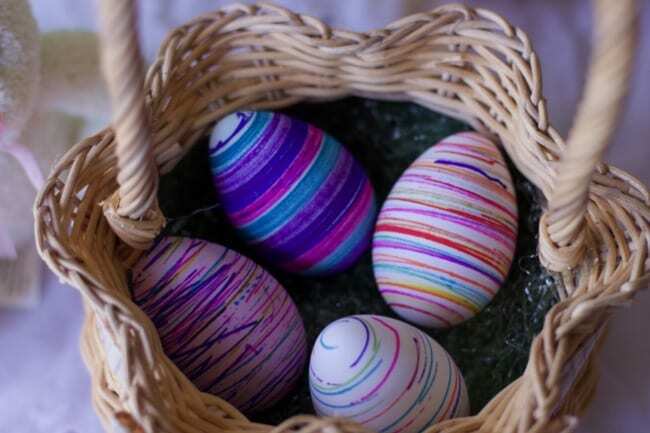 We love decorating eggs for Easter around here, but if there is one thing I dread, its the dye. Its messy and stains your hands for a couple of days. Plus it’s. little hard to get very creative with them. 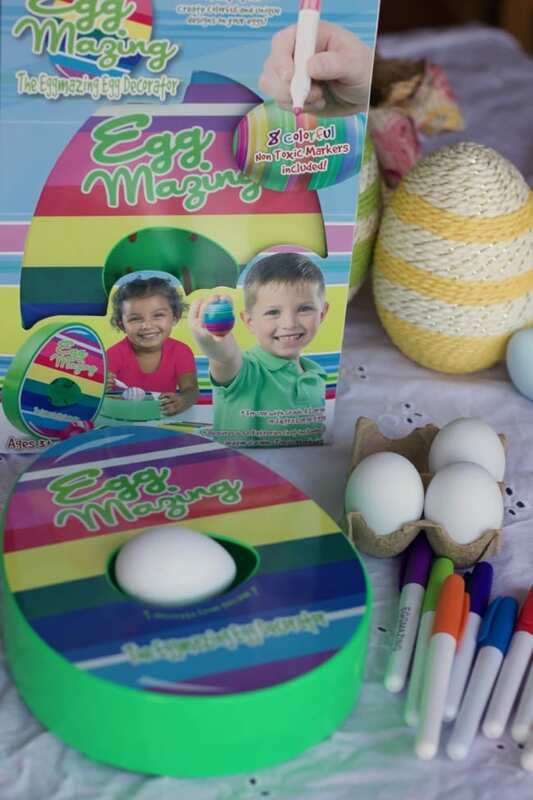 Well ,boil extra eggs this year, you won’t want to stop coming up with unique patterns with the Eggmazing Egg Decorator. This is the product that wowed the Sharks on national TV. The clever design allows you to be a part of the decorating process instead of watching and waiting for messy dyes to work! Easy to use, simply place a hard-boiled egg into the machine and turn it on. 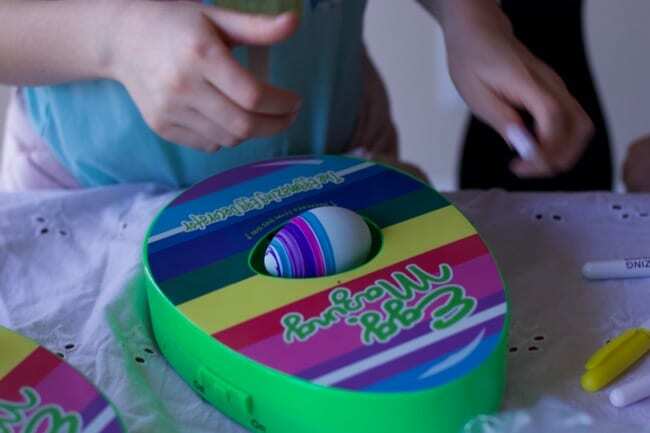 The machine holds and spins the eggs as a child (or grownup) holds a marker on the egg as it spins, creating stripes, lines or other designs. In just a year, over 5,000 neighborhood shops and big box retailers have stocked this affordable and adorable kit. 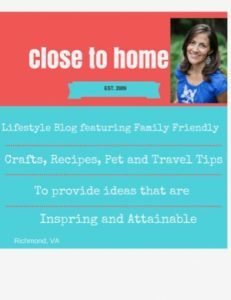 Families have found them at Learning Express, Albertsons, Amazon, Fred Meyer,Kroger, Paper Source, Justice, Bed Bath & Beyond and Walmart to name drop a few! The products are also sold in Canada. I solicited my sweet neighbors to test the Eggmazing Egg Decorator. 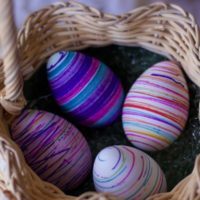 We used fake craft eggs. Some that were actually dyed the year before. 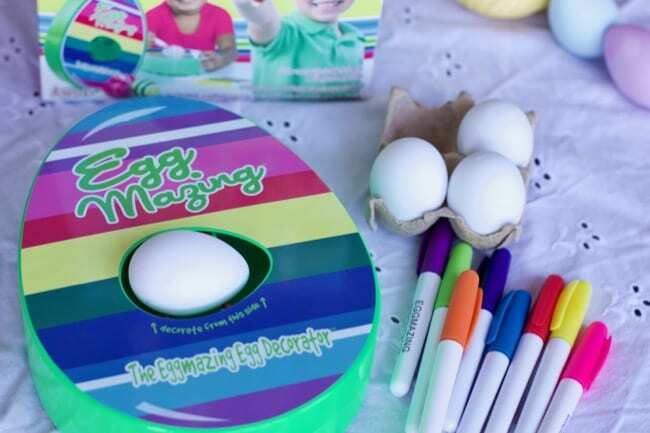 You simply place the egg into the space, turn on the Eggmazing Egg Decorator and use the markers to lightly press on the egg. 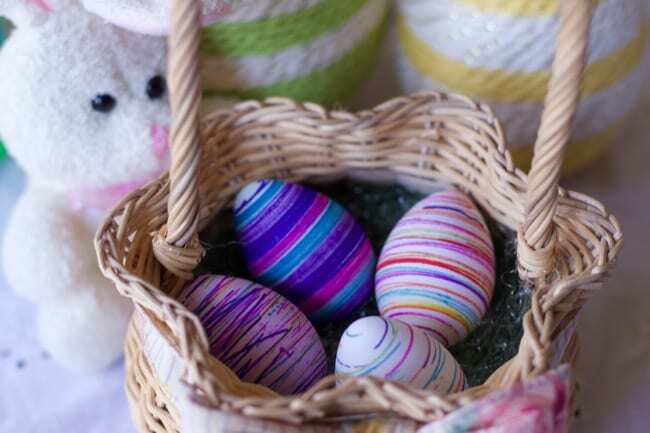 Since these were fake eggs, we had no issue with cracked shells. Could not be simpler and with each egg the girls designs got a little more creative. 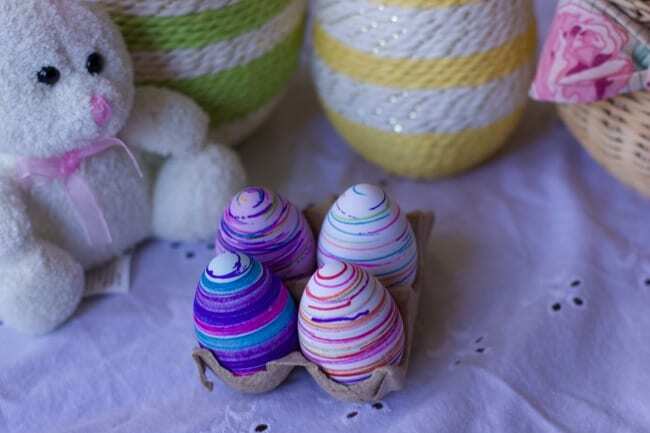 Make Easter Eggs without the mess of dyes. 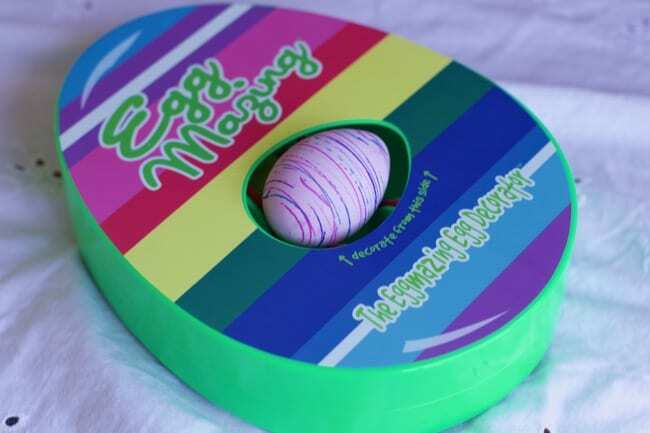 Using a marker, lightly touch egg as it spins. These fake craft eggs were a little smaller than the suggested Large or Extra Large eggs, but they came out wonderfully. Best part there was zero mess decorating eggs this year. With their eggmazing success to date, parent company Hey Buddy Hey Pal has more good news to share. This spring, a $50,000 gift will be presented to the Make a Wish Foundation in honor of the founder’s nephew who is battling leukemia. 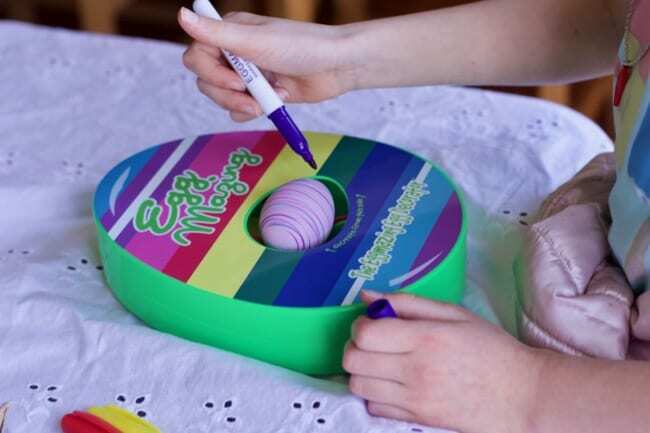 Win an Easter egg decorating kit for yourself. 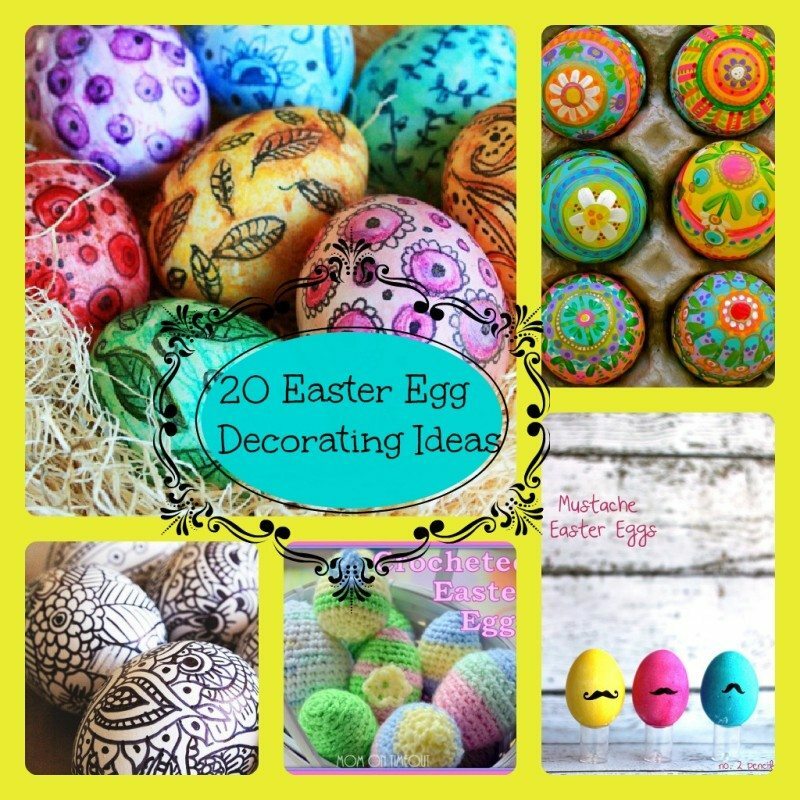 Check out these 20 Egg Decorating Ideas too! My 11 year old daughter would love to decorate eggs with her big brother 26, and nephew 3. My daughter is 10yrs old. I’m sure my son would be interested in doing this also and he is 14yrs!